So Bogota wasn’t on our list of “Must Sees,” but fellow travelers (and its convenient location) convinced us that it was worth a stop. Neither of us are huge “city” fans, and I personally believe that in order to truly get to know and enjoy a city, you need to stay for awhile. We weren’t willing to really give Bogota that much time, so we crammed a quick visit in. We decided to take the night bus from San Gil to Bogota so we could save on a night’s hotel room. A fine and dandy plan, except this time, our bus made it to Bogota in record time. We couldn’t believe how early we were (3:30 am), especially considering our last bus was so dreadfully late. Of course, the one time it would have been fine to be late, the busses were early. We didn’t want to show up at the hostel so early and get charged for an extra night, so we hung out in the bus station until we couldn’t take it anymore (6:00 am). Surprisingly, the bus station was pretty nice and felt really secure. Luckily when we arrived at the hostel, they gave us our room early and we were able to grab a quick nap. 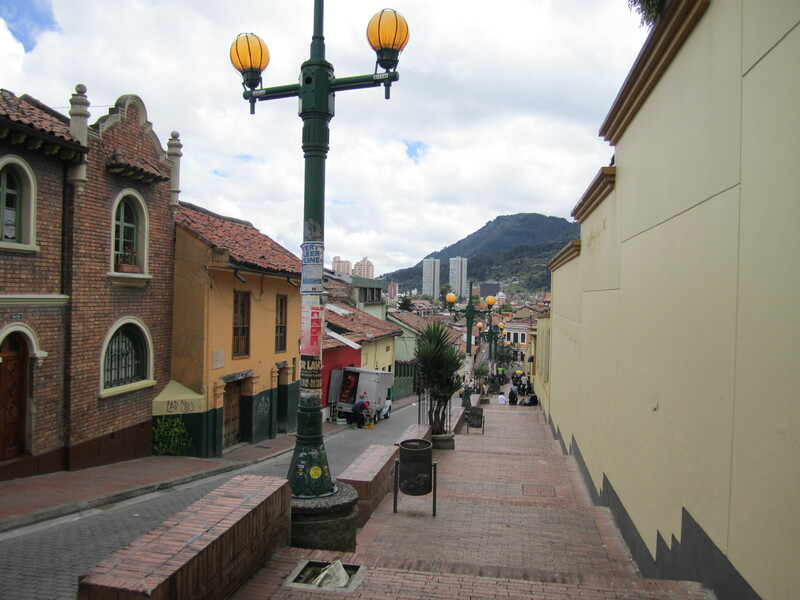 When we woke up somewhat more coherent, we took a walk through our neighborhood, La Candelaria. 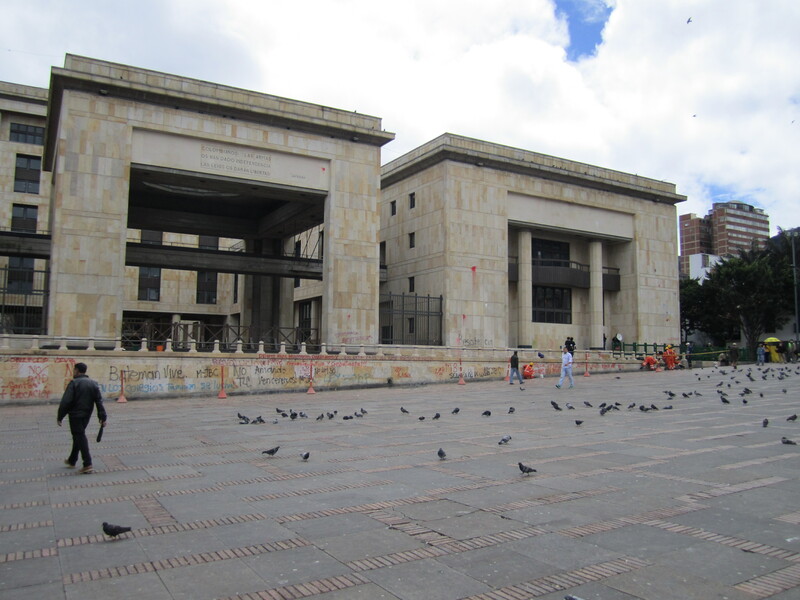 This is the historic part of Bogota and it was nice to stroll though. 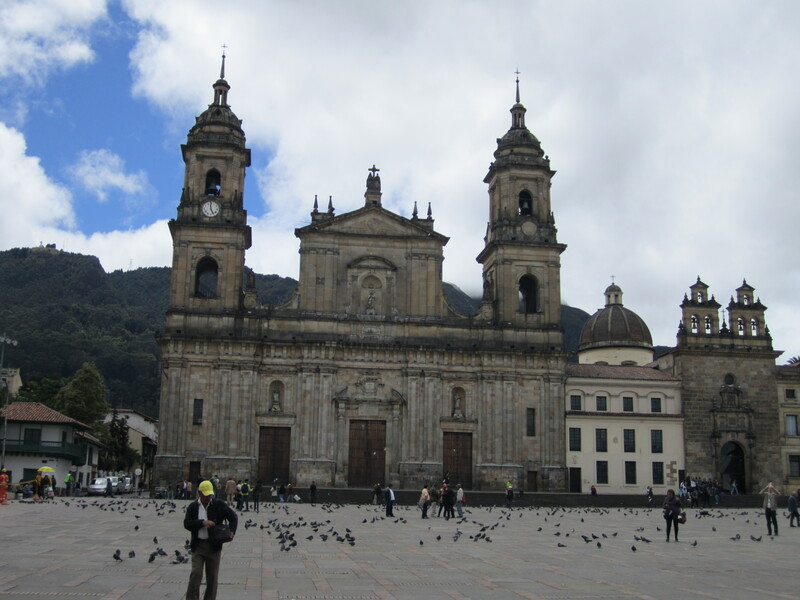 We checked out Bolivar Square with its huge cathedral and many, many pigeons. It seems as though there must have been a recent protest, because the Justice Building was COVERED in graffiti. We watched a few workers attempting to scrub it off. It looks like they will be working there for awhile. 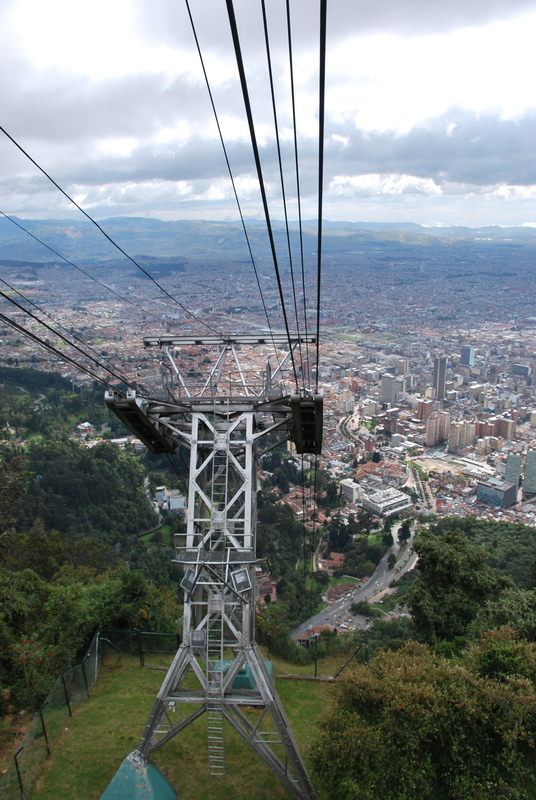 To get a bird’s eye view over the city, we headed over to Monserrate and took the cable car up to the top. Looking out from the top was incredible. 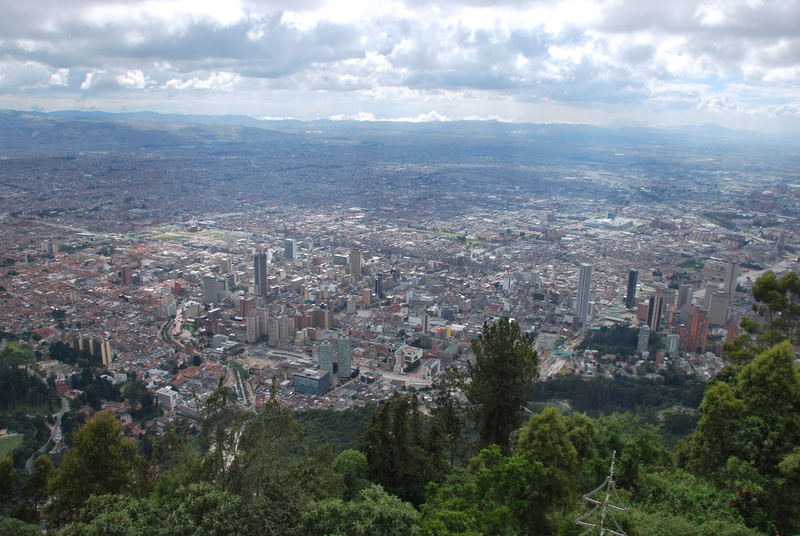 There is no way to describe just how large Bogota is. From the top, it seems to just spread forever, and we couldn’t even see all of it. I think it would take years to really get to know this city. 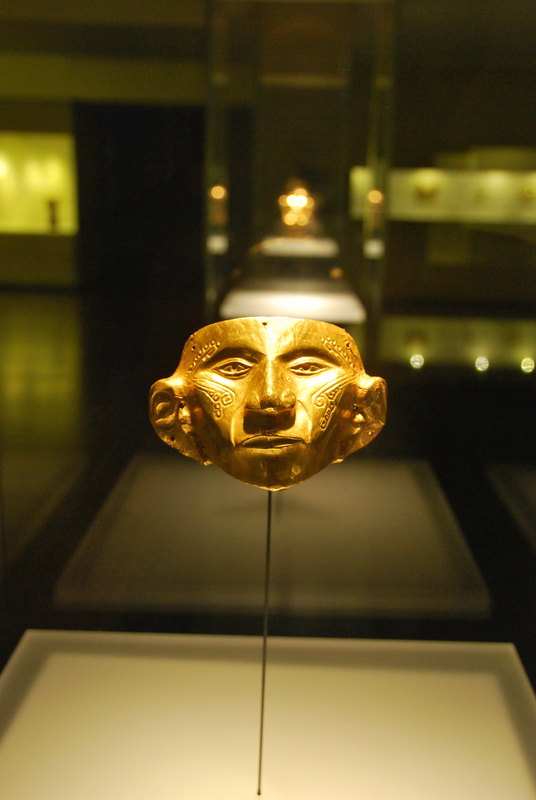 We also checked out the world famous Gold Museum. Although nether of us are super into museums, the cheap admission cost (about $1.60)and rave reviews lured us in. The pieces were incredible. Some of them were so tiny and intricate. 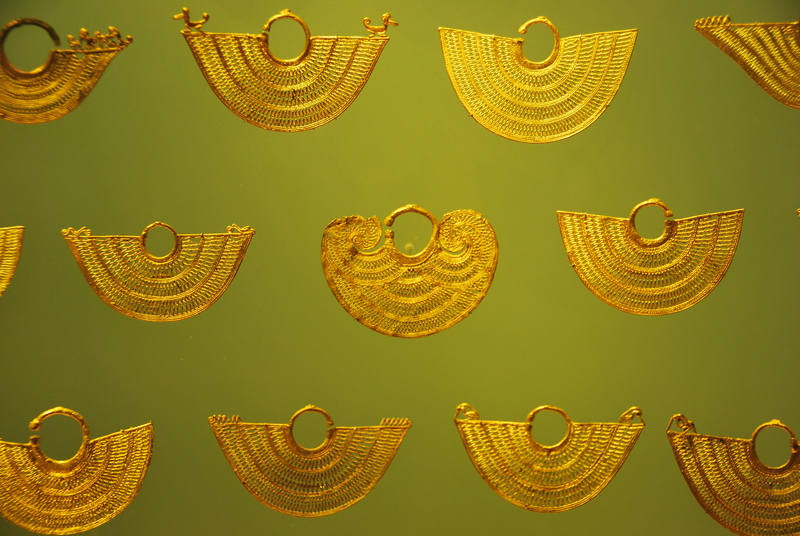 We were amazed by all the different gold working techniques that were used so long ago. Joe was trying to figure out a way to take some home, seeing how much gold is going for these days. In one room, we were treated to an amazing light and sound show, highlighting many different pieces. It was beautiful. 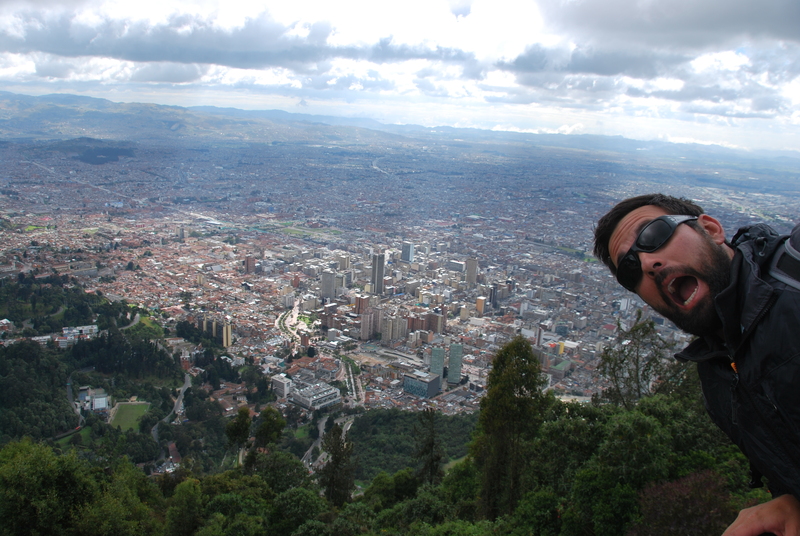 Although we didn’t spend much time there, we did enjoy what Bogota had to offer. Even in a chaotic city, we continued to meet amazingly nice Colombians who would graciously point us in the right direction when we were obviously lost and were patient with our horrible attempts at Spanish. Looks like a beautiful country! I was a little nervous when I saw the cave pictures and you were wearing sandals. I guess I should be happy you had helmets on for that adventure. I am glad to see you are having a great time! Miss you lots! They are Chacos, so they should count as more than flip-flops! Colombia has been surprisingly safety conscious (minus driving). For every dangerous activity we have done, we get a wristband with emergency numbers to call in case something happens! I think I saw a “Kris+Joe wuz here” in grafitti in the corner… no idea how it got there, I’m sure. I also love that your bus was so on time. Hanging out in the bus station at 3:30… not suspicious at all. In Colombia. After a long bus ride. As foreigners. Good job, guys. It was breathtaking! 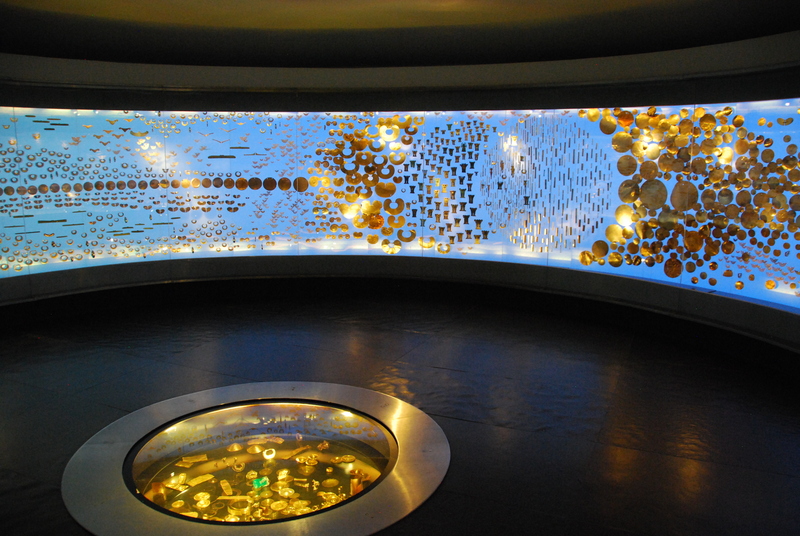 A definite must-see in Bogota!